As a huge football fan myself, I’m really mad at football. Aside from supporting Arsenal, I happen to follow other clubs like Barcelona and Dortmund. Call me an “addict” if you like. And I don’t care. Recently, I started to follow Wellington Phoenix, like what Dan, Zach and Oliver does. While I’m still new to the A-League, here are a few things that I’ve observed as a Nix fan outside New Zealand. I’m talking about the atmosphere at the Westpac Stadium during matchdays and the “Yellow Fever” fanbase. 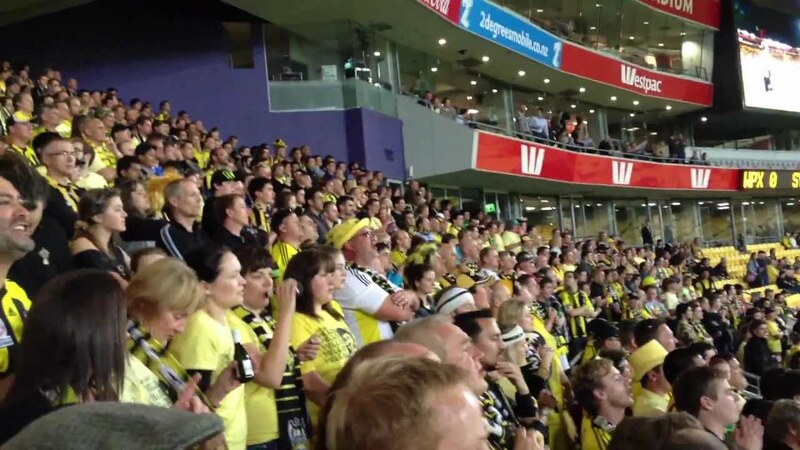 To be honest, the Nix has one of the most loyal fanbases in the A-League and this deserves a round of applause. For me, what makes Wellington Phoenix stand out as a football club isn’t just the fact that they’re the “only professional football club in New Zealand”, as their Twitter profile mentioned. It’s their fan culture. The sense of community of the Nix fans is strong. Even though the club is the creation of 11 years ago, but they’re really supportive of their club. Real supporters who support the team through thick and thin in their hearts. As I’ve mentioned before, I don’t live in Wellington, this was why I was envy of the FootyFans crew members living in NZ, who had a chance to watch the “Distance Derby” against Perth Glory live. The “tradition” of the supporters taking off their kits when they’re winning (like Zac mentioned) amazed me. You don’t get to see this in Hong Kong, the place where I live. Most teams here do have a supporter’s club (and their official songs), but most of them don’t have their distinctive cultures. While it can be the by-product of the social environment in Hong Kong, to put it simply, both the clubs and the supporters fail to devote effort and time in creating a supportive environment to attract new fans. Not even Kitchee, the reigning champions and biggest club in the “Hong Kong Premier League”, who are dubbed as the “Barça of Hong Kong” for their cooperation with FC Barcelona in the past (like 2007). Most people in Hong Kong are too focused on football overseas (like the English Premier League) and what my experience with Wellington Phoenix reminds me is that the local football culture in Hong Kong isn’t good enough. We did have some magical moments in the past, but it’s hard to replicate them without the support of the people of the city. How difficult is it? Well, almost impossible as there’s no local brand of football! And you get the idea. Being a Wellington Phoenix supporter isn’t easy. They’re far from being the best team in the A-League. But honestly, as Jock Stein once said, “football is nothing without fans”. Wait for me, Wellington and the Westpac Stadium. You’re really wonderful. Yes, I’m finally back! And I know that I took a while to get back into writing but got to get back into it somehow, eh? Anyway, in this new series of articles, I will be talking about the Wellington Phoenix. The Nix, as they are affectionately known by the fans, have just started the season and are on a high after beating last season’s playoff finalists the Newcastle Jets. There’s also the plus of all the people that write here support them. But you might be thinking: who are these plucky bunch from the capital and why are they playing in the A-League? Well read on and find out. I think that first, we should take a look at the fans. The main supporters group are the Yellow Fever, a nice bunch of maniacs who take their shirts off at the 80th minute when they’re winning even if it’s 4 degrees. They like to have a pint or two before and after the match and also have quite a diverse range of chants, of which the most famous is Oh Wellington! As for the rest of the fans, they’re a pretty solid bunch, even though they don’t know the chants. and there are usually a decent amount of them, with tickets starting at around $23 NZD (By a decent amount of people I mean about 5 or 6 thousand but considering the standard of football on show is pretty good. The big story over the A-League offseason has been Usain Bolt’s trial at the Central Coast Mariners. Last season’s bottom club have managed to somehow lure the Jamaican sprinter to Gosford, and are allegedly offering a contract. It’s a pretty hefty fee they’re paying, too, for someone who’s never played professional football. And at 32, it’s not like they’ll get much use out of him. To be fair, however, he has got huge marketing appeal. Really, the whole situation’s a mess. The first thing that needs to be established is that Bolt is a competent footballer. He’s trained with Borussia Dortmund, he’s trialled with Stromsgodset in Norway and there was an offer from Valletta FC, based in European footballing hotbed Malta. He scored two goals in a friendly match in preseason. To write him off as a poor footballer isn’t needed. But what is he going to bring to the Mariners? Bolt’s played as a forward or winger in the friendly matches so far. Imagine if he’s given a contract and starts playing A-League football. How’s Connor Pain going to feel about that? What about Matt Simon? Or Tommy Oar? The three of them have a combined 31 years of professional footballing experience. Bolt has none. And just look at the contract offer. It’s enough for the A-League to need FFA to step in and fund it. It’s been rumoured at $3 million a year. That’s not a bad contract for the Premier League, and we’re meant to expect that giving this kind of money to a fairly unproven non-footballer makes sense? It doesn’t. Not at all. That’s a huge amount of their salary cap, gone. Yes, Bolt will bring in crowds. And yes, people will buy merchandise. They’ll make some money out of it. But if we’re at a point where the finances are more important than on-field action, then I’m worried for the future of the A-League. The Mariners might be overlooking what gets people to go to the football. When I go to a Phoenix game, I’m not going because I wanna see this player or that player. I go to see the team, my team, play a game of football. There have been successful crossovers in sport before, I’m not going to deny that. There are players that excel at two similar sports – think Brad Thorn in both rugby union and rugby league, or Jarryd Hayne in just about everything. And there are players who play two very different sports – rugby and cricket have nothing to do with each other but Jeff Wilson still did well in both. Bolt’s effectively doing the second one of those two, and pretending it’s the first. 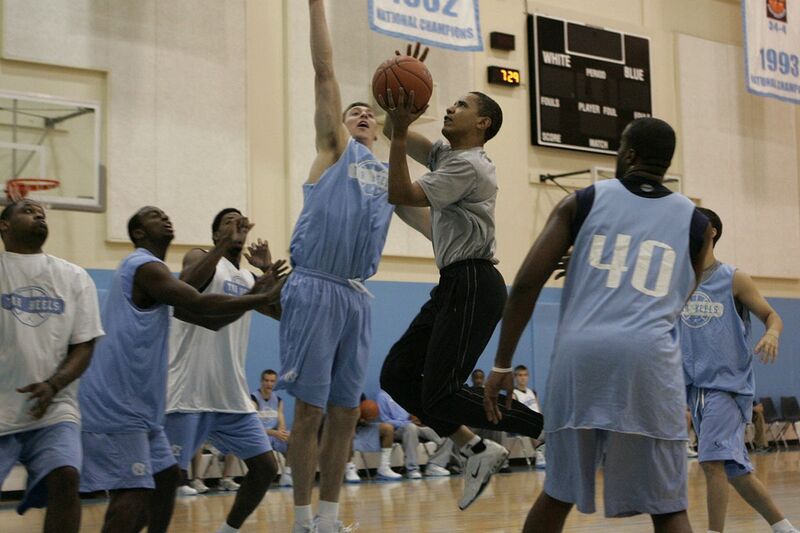 Barack Obama’s apparently a pretty handy basketball player, but the Phoenix Suns aren’t trying to sign him up, no matter how desperate they may be. Ultimately, Bolt’s move to the Central Coast Mariners is a farce. It’s not going to be any good for the club, it makes the rest of the league look like a joke, it’s a kick in the teeth to all of the players who have worked for this – and, as Andy Keogh said, he’s got a first touch like a trampoline. After a far too long offseason, the A-league season is finally, finally back. With it came good news for me; the Wellington Phoenix won our first game of the season for just the second time in our history! But, it wouldn’t be the A-league without controversy. I wasn’t able to go to the Phoenix game myself, unfortunately, but I was watching it on TV, and there was a rather annoying feature of the game. At most stoppages and set pieces, music was played. And, scrolling through Twitter while watching the game, everyone was just as annoyed as me. And this wasn’t just Phoenix fans that were pissed, it was fans from all across the A-league. First off, whether you are sitting in the stands or staring at you TV, watching football is an immersive experience. The thud of the ball, the roar of the crowd, the shouts of the players, it’s a good feeling. A nice focus. Quality immersion. Music ruins all of that. That immersion is brilliant, but music completely ruins it. Quite frankly, it’s a turn off to watching games and will put off the casuals that clubs and the league are trying so hard to get to come to games. But aside from being just plain annoying, it takes away the greatest asset of playing at home. The music is played at set pieces when there’s a break in play. However, for the fans, the die-hards, the yellow fever, that’s the perfect opportunity to get some chants going. However, from what I could discern from twitter, the yellow fever, the Phoenix’s die-hards, had around 3 or 4 chants drowned out by the music. That isn’t ok. Chants add to the atmosphere of the game. It adds to the immersion. And if you’re trying to get the stadium behind your team but you are being drowned out by some audio pretending to be music, then people will want to come to games less. And here’s the thing. With my scrolling through twitter and seeing what the fans think, from all across the A-league, I’m yet to see a single person in favor of the music. The football community is very diverse, and our opinions are just as diverse. But our opposition to music at games is universal. Getting the football community to agree on something is just as unlikely as getting both sides of the political spectrum to agree on anything. Surely, with so much opposition, the A-league must listen to the fans. Because, in the end, us fans are the reason the A-league exists. The 2018-19 A-League, the top-flight of football in Australia, kicks off in just eight days’ time when Sydney FC travel to Adelaide United. Over the course of the next seven months, the next 140 games, we’ll see a new premier and a new champion crowned. What we won’t see after this season, however, is the current format. The A-League has had ten teams exactly since 2011, but that’s all about to change with two new sides joining the competition in 2019-20. Exactly who those teams will be is currently unclear, and there are eight competing bids. Let’s take a look. The first bid to look at, and the most well-documented, is Canberra. Australia’s capital city already has a W-League side, Canberra United, however it’s understood that this bid would be separate. The bid, led by Michael Caggiano of ONTHEGO, would see a new stadium built in the city for use by the football team, rugby side the Brumbies and league team the Raiders. The bid has also been negotiating with a Champions League side with a view towards a partnership agreement, similar to the link between Manchester City, Melbourne City and New York City in the MLS. The bid is considerably better publicised than any others, and should be a frontrunner for the spot. Another bid comes from Ipswich, just west of Brisbane. Ipswich has seen a large population increase as people move away from the crowded centre of Brisbane and out into more suburban areas. Like Canberra, Ipswich want to build a new stadium, with the preferred location being at the North Ipswich Reserve and the capacity aiming for 15,000. Expansion into Queensland hasn’t gone brilliantly well for the A-League, with two of the three defunct clubs being from the state, but there’s no reason to think that trend will continue. There’s also interest from an existing football team, Wollongong Wolves, to join the A-League. 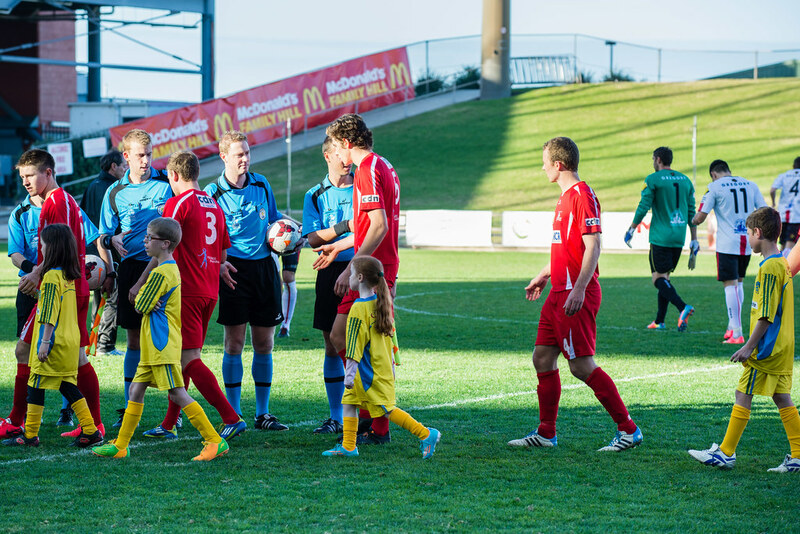 The Wollongong Wolves, from Wollongong in the Illawarra area, were part of the National Soccer League, the top-flight in Australia before the A-League, and managed to win it twice as well as taking an OFC Champions League title. They’ve fallen into relative obscurity since then, but there’s good reason for them to join the A-League. 8,000 people showed up for a home cup game against Sydney FC, which is higher than two A-League sides’ average attendance last season. And the Wollongong area has some of the highest youth football participation rates in the country, only increasing the bid’s chance of success. OK, now it gets boring, because we’re going into the big cities. Let’s start with the two Sydney bids. Yep, two bids. Because apparently having one-fifth of the teams in one city isn’t enough. Anyway, one bid is coming in from southern Sydney whilst the other is southwest Sydney or neighbouring Macarthur. Details are a little scarce on these bids, but Southern Sydney would most likely play out of St George. Given that there are already two other teams in the city, and most likely very few football fans willing to swap allegiances, I don’t think either of these bids are likely to be picked. There’s three more bids left, all based in Melbourne. South Melbourne FC, the most successful team in Australian history (alongside three others), want to join the A-League. The side, formerly managed by Ferenc Puskas, have four Australian championships and an OFC Champions League win. They also have five million dollars and a 12,000 capacity stadium, which might prove useful. They’re also interested in entering a W-League team, and would be a popular choice with many Melbourne residents not wanting to have to choose between Victory or City. It remains to be seen if they’d be popular with anyone else, though. The other two sides are… also Melbourne. One bid is from the south-east of the city, with the intention of building a 10,000 capacity stadium (at least). The region has 1.7 million people, and high participation rates in the sport. Six local sides are looking to unify for the bid to come together. The other bid is from West Melbourne, and there are barely any details about it out there. So there they are, the eight bids to join the A-League. In my opinion, the two best bids are Canberra and Wollongong Wolves, however I am not a businessperson, or a CEO, or any other sort of decision-maker. I’m just a fan with 0.000002 bitcoin who wants to get his opinions out there. In any case, we won’t know the decision until its release, which should be before the end of the month. So that’s that. Which bids would you like to be accepted? Tell us!